We have made available a remarkable range of Honeywell Temperature And Humidity Sensors. The offered products are a duct mount unit and provides 0-10VDC/ 4-20mA for temperature & Rh. These offered products can be powered with 24VAC or DC supply. These offered products available in different specifications suited to the divergent demands of the clients. Our clients can also avail the offered product in customized forms suited to their specific demands. 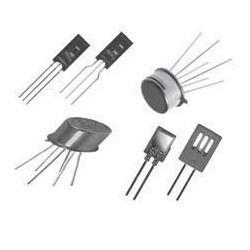 Intercode Technologies is one of the leading solutions provider of quality components, Engineering designs and supply chain services in Electronic Components Industry for more than a decade. Established in 2000, Intercode Technologies began its operations focusing on companies located in Mumbai, and slowly increased its base to other metro cities in India like Delhi, Bangalore and Pune. We also have our warehouse and office in Hong Kong, the electronic component capital of the world. The company is truly a global company with exports to US, Europe, Dubai, Singapore, etc.